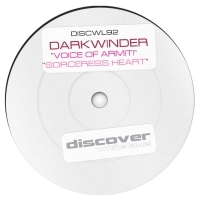 Trance DJ and producer “Darkw​inder” started his journey of music in the year 2010, the year when he blasted his first mix. Having self taught initially, he learned profes​sional music production later on, to polish his musical and remixing skills from the glamorous city of Mumbai, the club capital of India. After few years in an already saturated DJ pool; he developed his passion for Trance and focused on producing uplifting trance since 2014. He understands that trance has its own universal language and this has allowed him to communicate with people from all walks of life. His love of the black keys on the keyboard was instru​mental in the inception of the name “Darkw​inder”. He believes that just like the keys of the piano, everybody’s life has some dark and white experi​ences. Due to this belief he ended up winding trance music that goes deep and touches those dark instances of people’s lives that are the biggest lessons in their lives. He manages to turn those dark experiences and uplift them using his exceptional inspir​ational sounds and rhythms. He is armed with the skills of a turntablist and the creativity of a producer. He currently has some pivotal tracks for intern​ational release creating a buzz on many record labels and is working on music production for many future projects. He continues to share his love for music with the world by performing at many clubs and lounges and most recently with his trance produc​tions. Travelling to different places throughout the country for learning different tastes and knowledge about music, he remains unsatisfied and still remains hungry for exploring more and making its most. For “Darkw​inder” everything in life can be lost but only one thing shall live forever i.e. TRANCE.“The future depends on what we do in present” is a quote that he follows, which inspires him every day to leave his mark in future with his uplifting music. Darkwi​nder’s knowledge, experience and infectious passion for music have ensured that he has strived to become the complete entert​ainer, starting from DJ'ing to music production that leads to an unforg​ettable music.